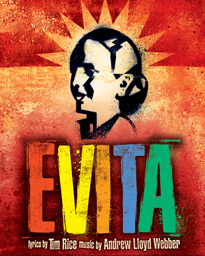 Tim Rice and Andrew Lloyd Webber’s Tony Award winning musical Evita returns to Little Rock for performances this weekend. The musical is at Robinson Center Performance Hall tonight (March 15), two performances on March 16, and on the afternoon of March 17. Eva Duarte Peron rises from poverty to become an Argentinian actress and the wife of powerful President Juan Peron. Through a series of flashbacks, Eva transforms from an impoverished teenager into a woman of influence and power. After the death of her father, Eva travels to Buenos Aires and begins a string of relationships with powerful men before she meets Juan. Eva’s ultimate power and influence earn her both admiration and hatred. The production includes such hits as “Don’t Cry for Me, Argentina” and “High Flying, Adored” as well as the song “You Must Love Me” which was written for the film version.